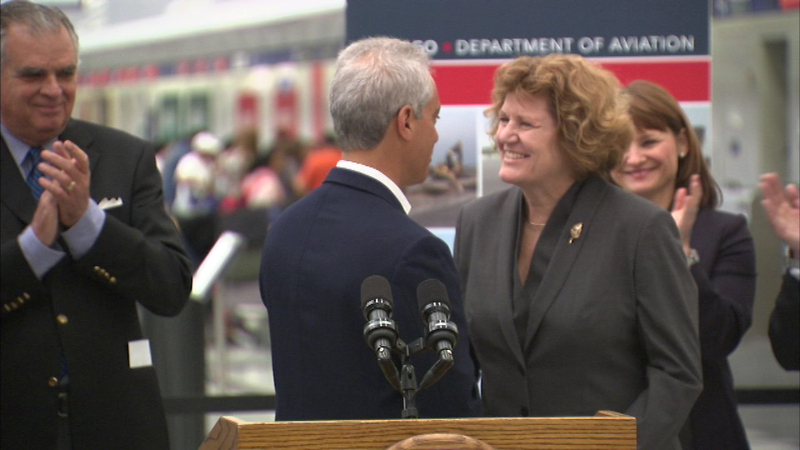 CHICAGO (WLS) -- The new head of the Chicago's airports has bold new plans for an express train to O'Hare International Airport. According to the Chicago Sun-Times, Aviation Commissioner Ginger Evans is proposing a second level of track above the Blue between downtown and O'hare. The second level would be an express line. Evans, previously of the Metropolitan Washington Airports Authority and the Denver International Airport, was appointed to the post in May by Mayor Rahm Emanuel. She started in Chicago on June 1. The double-decker style of train lines would be a first of its kind, she said. But the project is not slated for any time soon. Evans said hopes to have just a framework for the idea in the next four years.